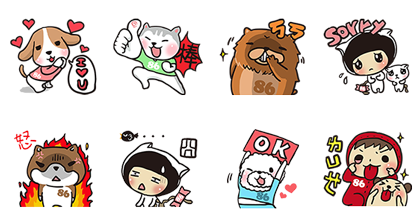 http://www.line-stickers.com/ – 86 Shop x Collaboration Line Sticker | 86 Shop collaboration with 2bau and Kinoko. 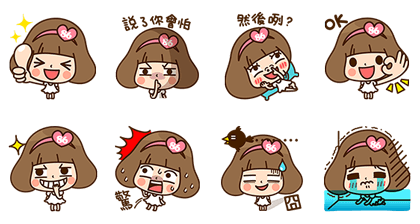 2bau have come together to release the Adorable Girls sticker set. And Kinoko stickers have been officially launched! Bring naughty ʹKinokoʹ chaos into you life! Download them now! Check out this super cute set created through a collaboration between 86Shop and Bosonx! 86 Shop proudly presents these super cute TODAY DOGS stickers! Friend 86 Shopʹs official account to get them! 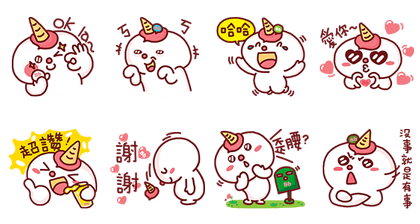 These stickers featuring the Super cute Gululu have teamed up with 86 Shop! Friend 86 Shop’s official account to get them! Super cute Drunk Joe stickers are now on LINE! 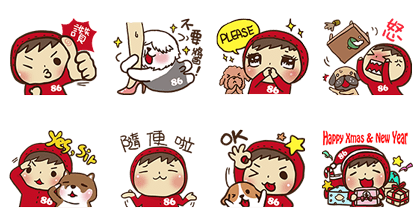 Friend 86 Shop’s official account to get these adorable stickers now. These super cute Poo Poo stickers just got grand-listed with 86 Shop. Friend 86 Shop’s official account to get these adorable stickers right now! 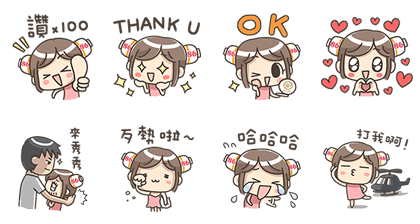 The stickers of super-cute Misa.Q has hit it big with 86 Shop! 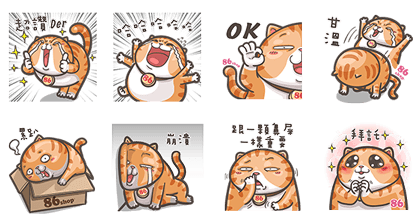 Friend 86 Shop’s official account to get these adorable stickers now. 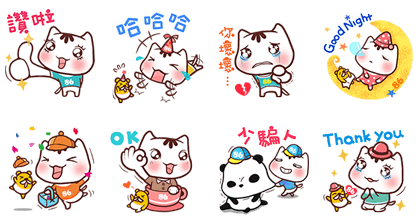 Stickers of super cute Po Jiyan are brought to you courtesy of 86 Shop. Friend 86 Shop’s official account to get them. 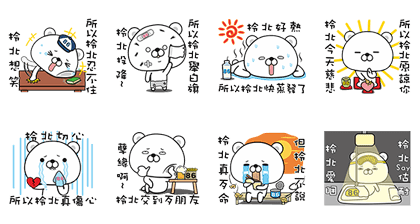 Mi-Pon’s super cute stickers have teamed up with 86shop for this sticker set. Friend 86 Shop’s official account to get the set for free. The super cute Frankly Bear teams up with 86 shop. Friend 86 shop’s official account to get the set for free. Available till August 11, 2016.